Please provide up to 3 colours for your flowers. 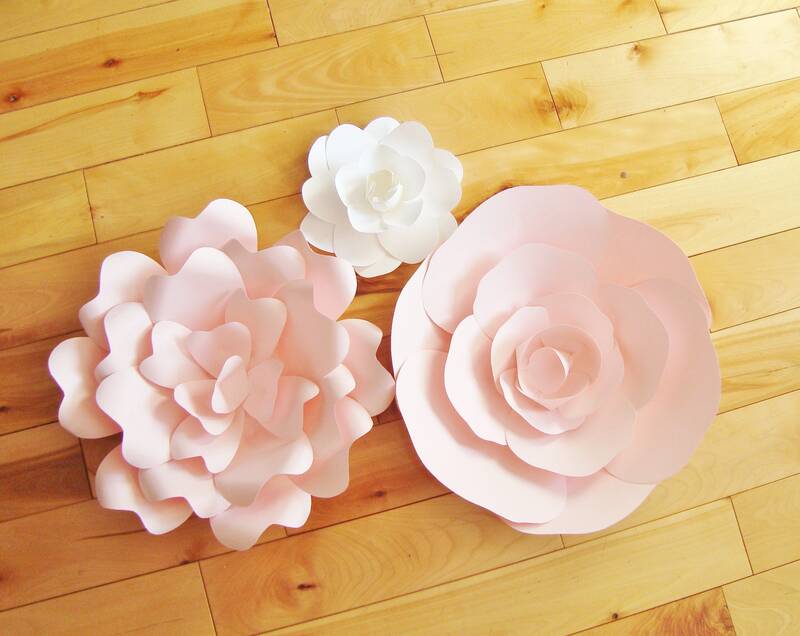 A small set of paper flowers perfect for accents at a wedding or event. In your baby nursery or as home decor. For a baby shower or at your bridal shower. Flowers come completed (no assembly required). Can be made in up to 3 colours of your choice!